Forced into a life of drudgery and housework by her wicked stepmother and stepsisters, Cinderella is upset when they are invited to the prince’s ball while she has to stay at home. But when her fairy godmother turns up, everything changes… A timeless fairytale retold with wit and charm for a delightful new Orion literacy series. Perfect for early readers, this magical tale features colour artwork throughout, and is written by Sally Gardner, the author of Nestlé Gold Award winner I, Coriander. 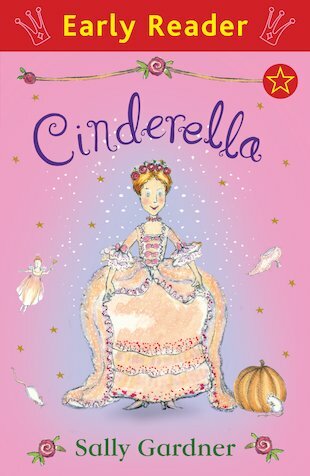 This is a classic fairy tale that will never fade, as a child I often wished for my own fairy god mother. Sally Gardner won the Smarties Prize for I, Coriander, and the Carnegie Medal and Costa Children’s Book of the Year for Maggot Moon.